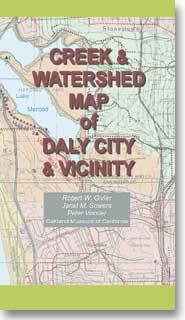 Creek & Watershed Map of Daly City & Vicinity. The printed version of this map presents both the historical and modern hydroscapes of the areas of Daly City, South San Francisco and Pacifica. Published By: Oakland Museum of California, 2005.